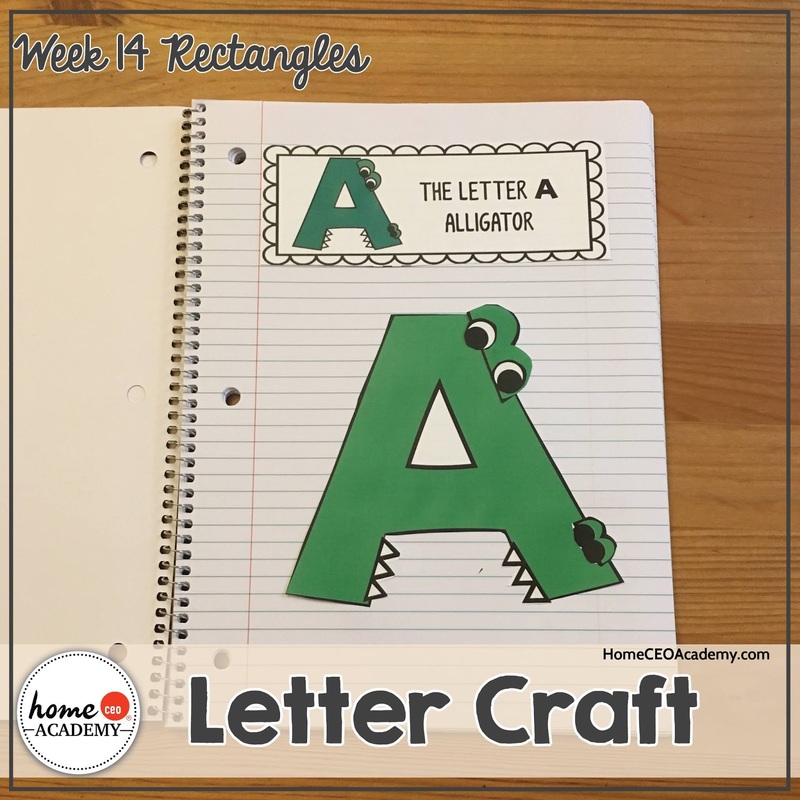 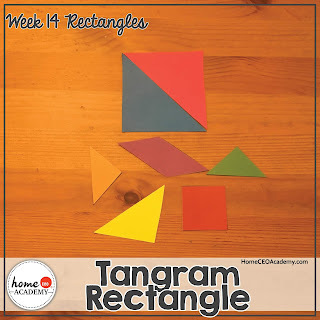 Porter and I just wrapped up week 14 - rectangles! 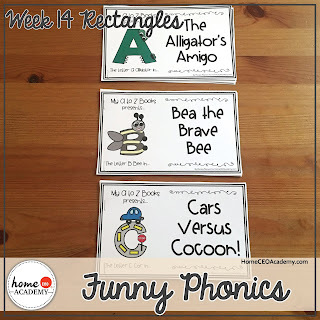 Check out some highlights of our week. 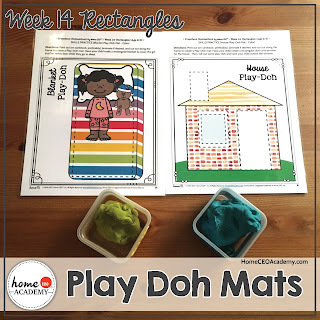 We started our week outside! 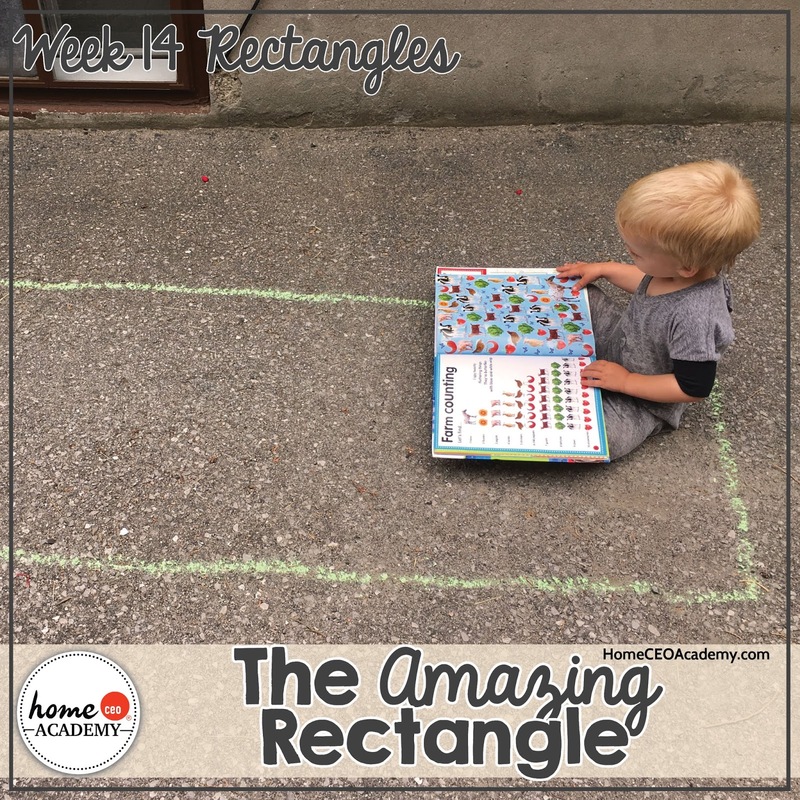 Porter made it about half way around the rectangle during our "amazing rectangle" gross motor game before he felt compelled to read! 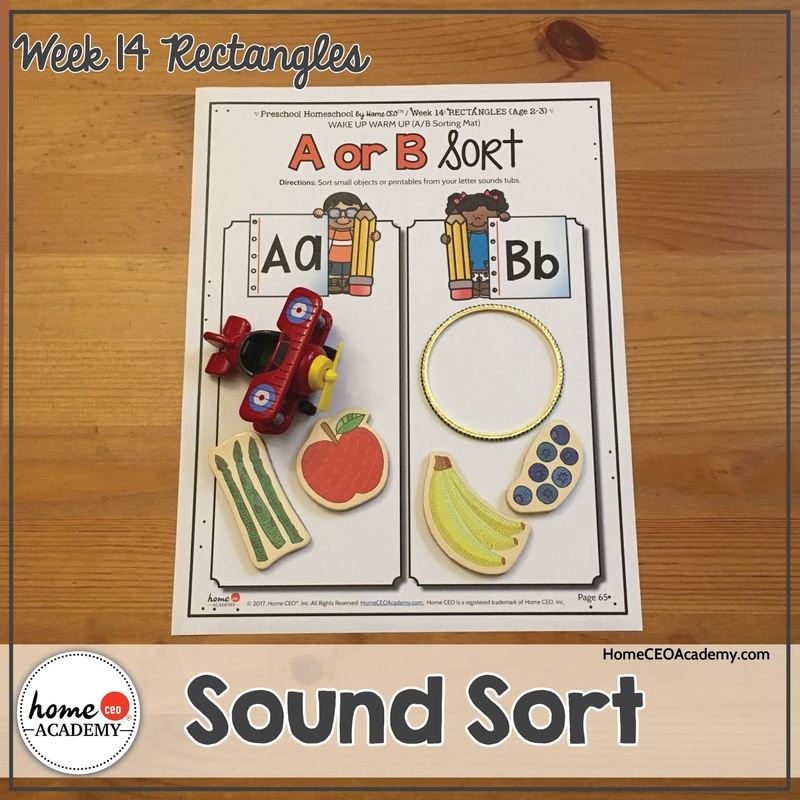 This week we focused on the letters A, B, and C. He really enjoyed these sound sorting mats! 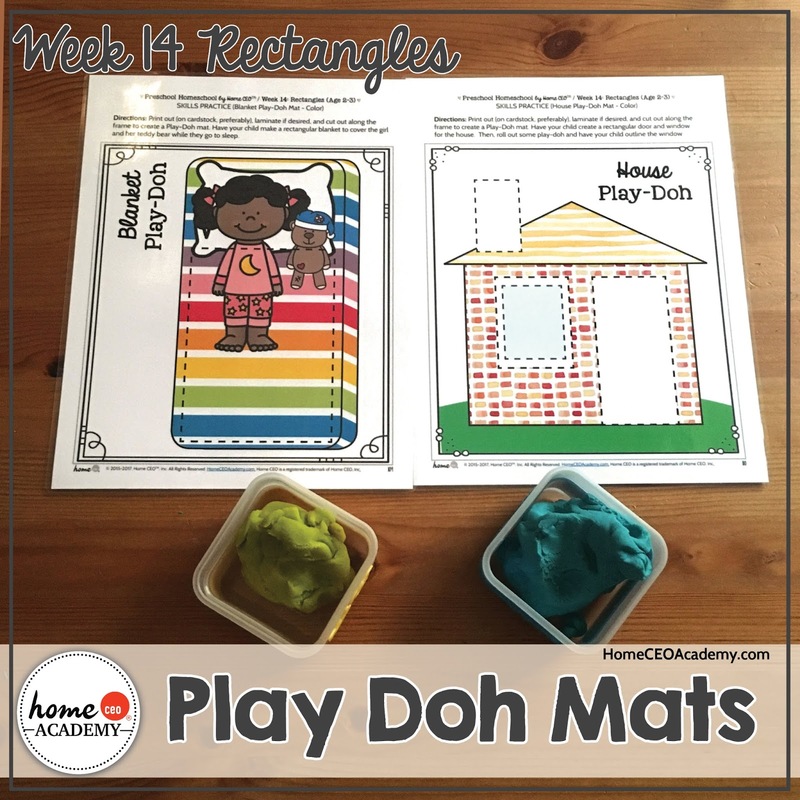 Play Doh is always a hit in our house! 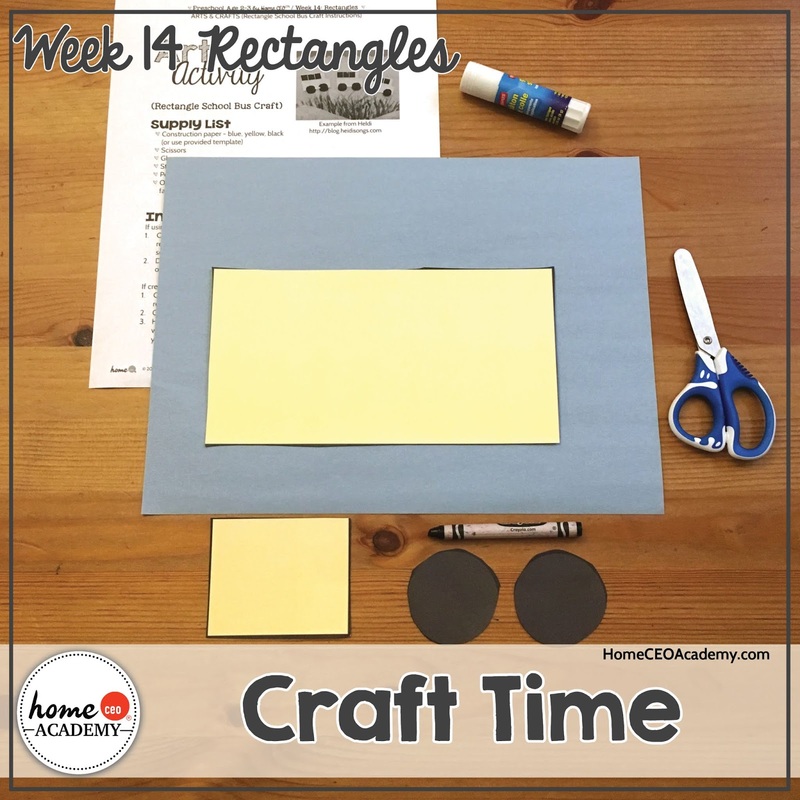 This week brought us a new activity! 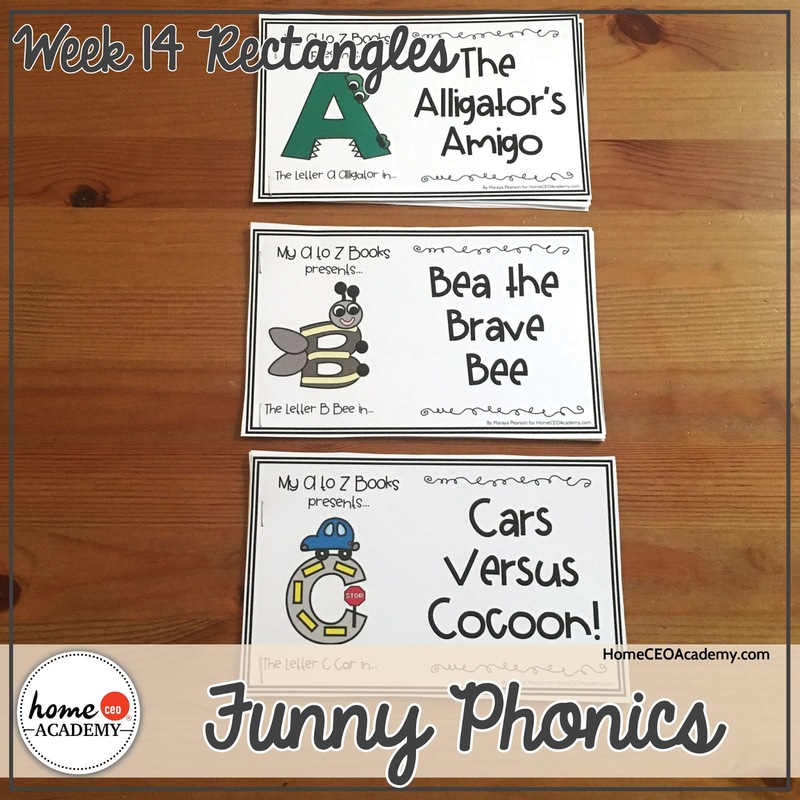 Our new A to Z funny phonics books will reinforce beginning word sounds, open up doors to new vocabulary, and just make you laugh! 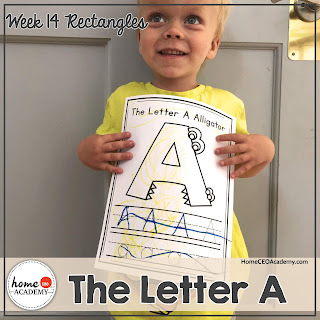 Also new this week, your little one can start their "My First Alphabet" notebook! Porter made a school bus during craft time! 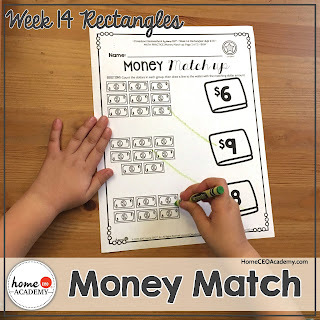 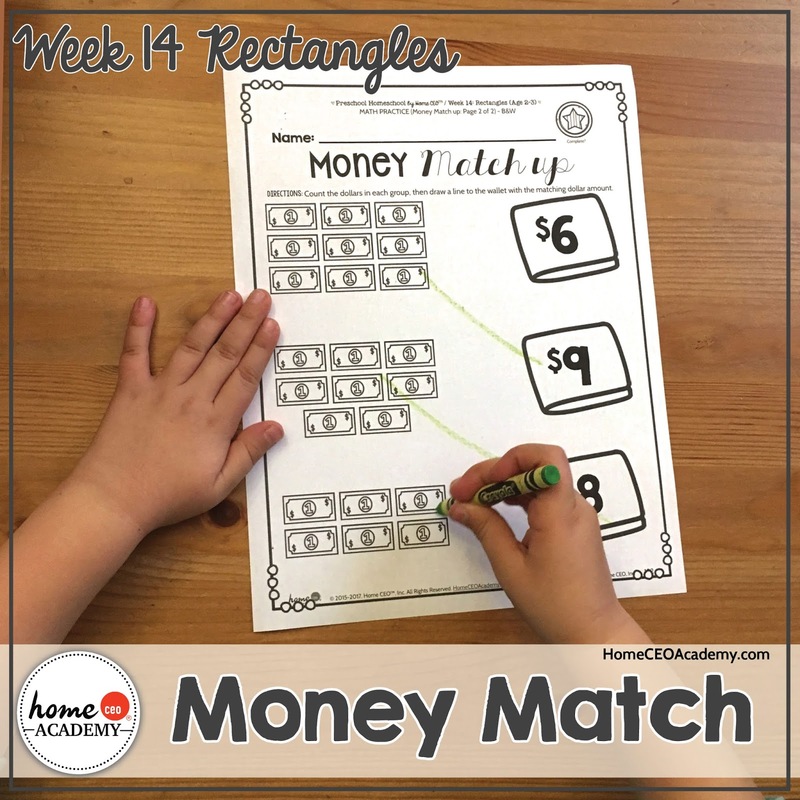 A little 1:1 correspondence practice with this money matching worksheet! 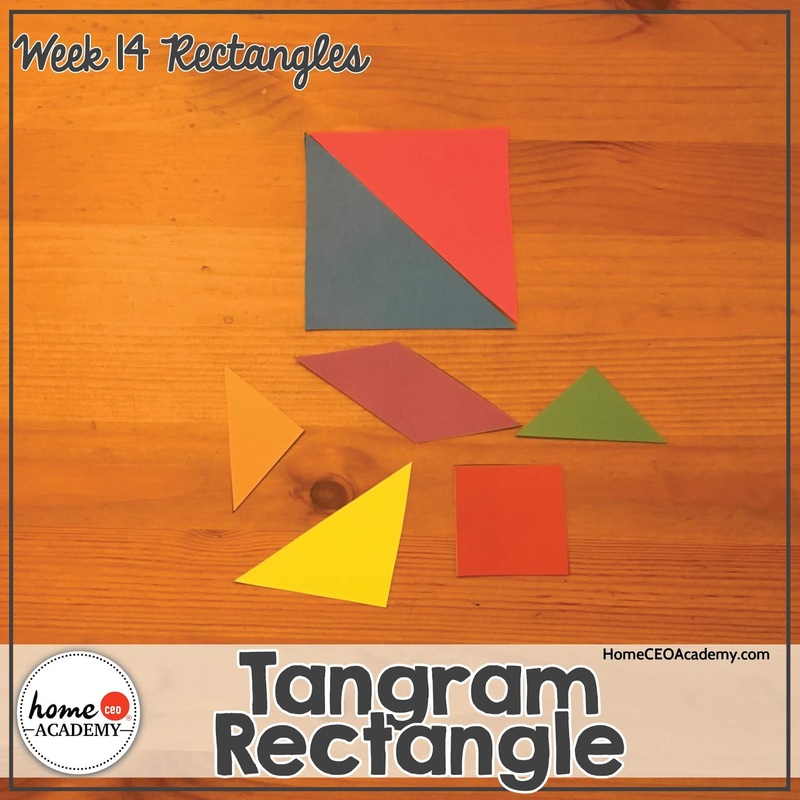 I loved tangram puzzles when I was growing up! 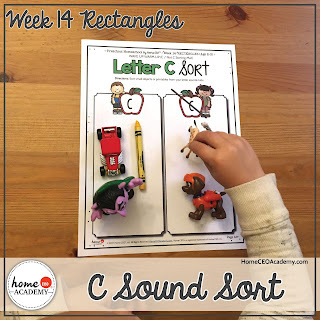 Challenge your little one to make a rectangle! 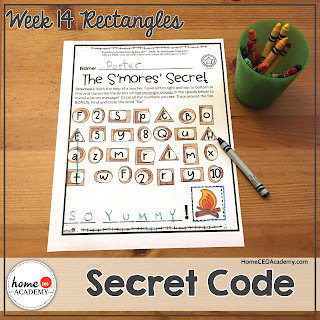 I know a snack that would be great to have after this secret code worksheet! 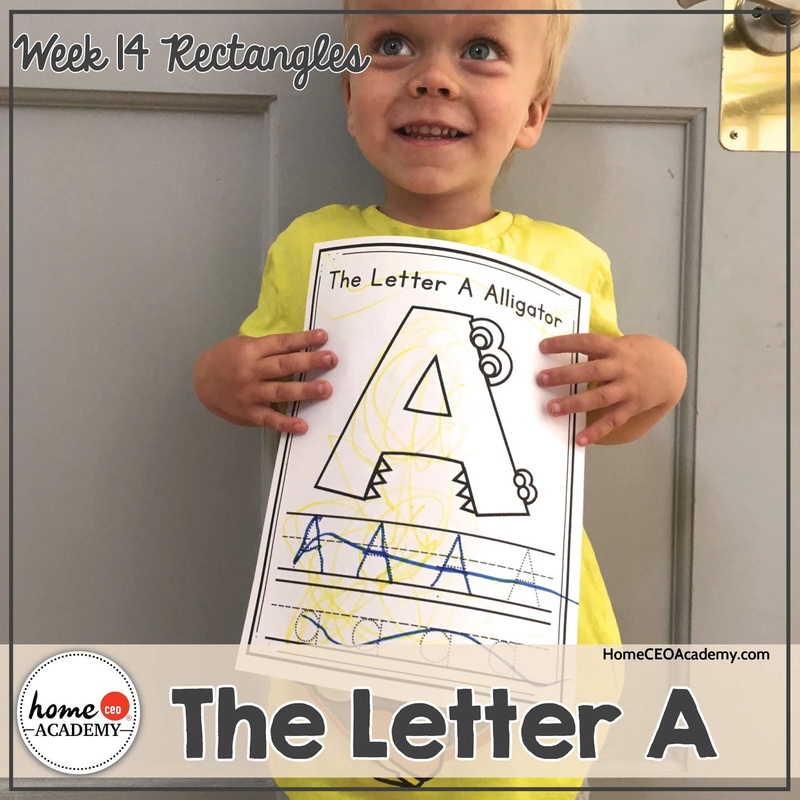 It's never too late to start your preschool homeschooling journey! 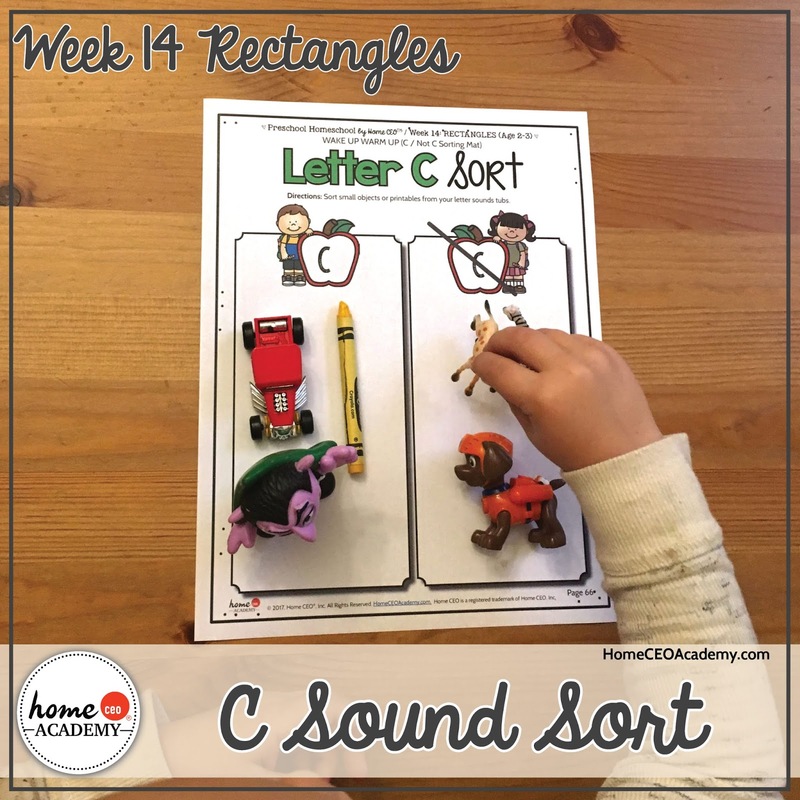 Check out our website for more information about our curriculum bundles and one off units! 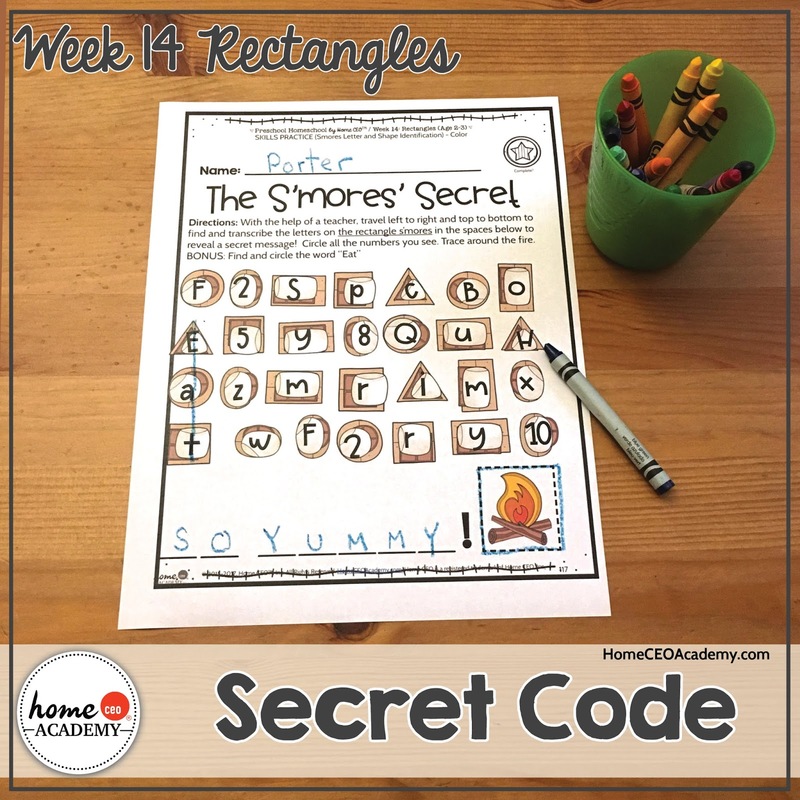 If you have any questions, please feel free to email me too!